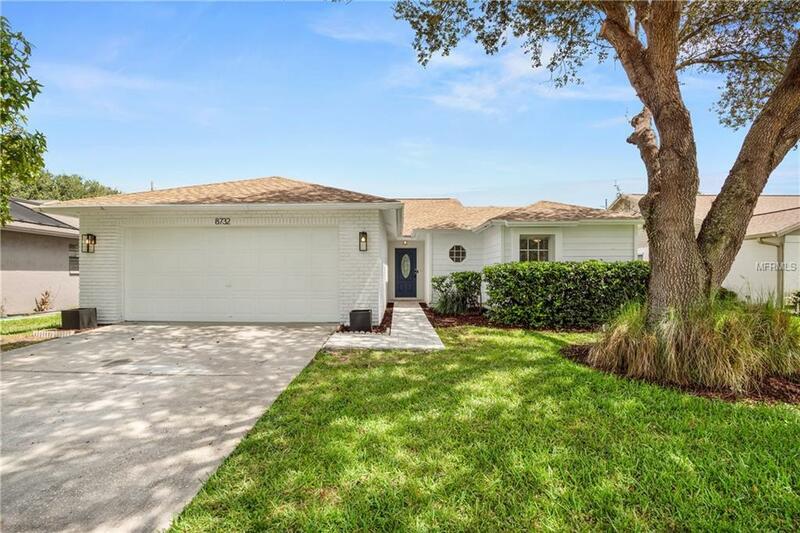 This is the Citrus Park home you've been waiting for. This completely renovated home features a modern open floor plan, new wide plank wood floors, and fresh paint inside and out. Get ready to throw a memorable housewarming party in this totally remodeled kitchen, with solid surface quartz countertops, new stainless steel GE appliances, and statement light fixtures. The bathrooms have been updated with new vanities and quartz counters, modern, large-format tile, and polished chrome fixtures. Enjoy the sparkling pool and spacious patio year round in the large, screened-in lanai. Location is key with this home, which is walking distance from Citrus Park shopping, schools, and neighborhood parks and trails. This is quality you can count on. All Bungalo homes come with a quality guarantee and home warranty. Additional Lease Restrictions Please Look At Current Docs Online At Www.Fawnridge.Org For The Most Up To Date info. Buyer And Buyer's Agent To Verify All information. Listing provided courtesy of Bungalo.